Most of the discussion about the Philadelphia Eagles’ run to the Super Bowl in 2017 appeared to center on the quarterbacks and the ability of the team to rally after losing starter Carson Wentz with an ACL injury or the play and personalities of the offensive line. Little was made of the play of the running backs. The Eagles rushing attack in 2017 used six different running backs, including the in-season addition of Jay Ajayi via trade. The Eagles finished with the third-best rushing attack in the league. In Super Bowl LII, the Eagles running backs ran for 164 yards and a touchdown while undrafted rookie free agent Corey Clement tormented the Patriots defense as a pass-catching threat with four catches out of the backfield for 100 yards and a touchdown. 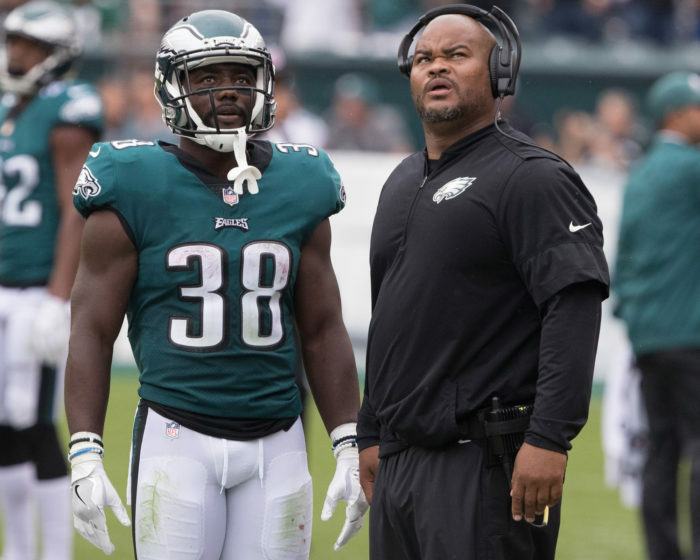 If the running backs didn’t receive much recognition or acclaim for their achievements during the season, their coach would get even less praise and recognition. That’s par for the course for Eagles running backs coach and organizational mainstay Duce Staley. Staley was a third-round draft pick for the Eagles in 1997, played for them from 1997-2003 and finished as the team’s fifth all-time leading rusher. Staley has been a full-time member of their coaching staff since 2011. He’s survived two coaching changes — the first one from Andy Reid to Chip Kelly in 2013 and later Kelly to current head coach Doug Pederson in 2016. Staley has interviewed for two higher positions in the organization — head coach in 2016 that went to his former teammate, Pederson, and then offensive coordinator this offseason. That job went to Mike Groh, wide receivers coach who had only been with the team for the 2017 season. Staley reportedly also interviewed with a second team, presumably the New York Giants. Groh isn’t expected to call plays on gameday. That responsibility is likely to remain in Pederson’s hands. While Staley didn’t get the coordinator position, he did receive an “assistant head coach” title. We don’t know if there are responsibilities associated with that new title or if the title is merely ceremonial and for the purposes of helping advance Staley’s career. Of course, Staley will continue to coach running backs in 2018. But will it actually help Staley’s career trajectory? 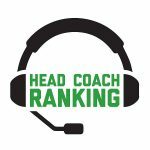 One of the issues in hiring is that decision-makers want to interview coaches with titles. There is an assumption that a head coach candidate needs to have been or currently is a coordinator. It’s an unstated prerequisite. By way of example, Andy Reid of the Chiefs is the only current head coach that has never been a coordinator. There’s a perception that running backs coaches are not capable of being offensive coordinators. Just take a look at the offensive coordinator position around the league and see how many of the coordinators coached running backs. The answer is very few. The future is bright for Staley. A good group of running backs returns in 2018. He’s on a winning club and in a city where the fan base adores him. It appears that he can stay with the organization as long as he wants. But by interviewing for the offensive coordinator and head coach positions, he clearly possesses ambition to further his career. This year, we anticipate Staley will have head coaching interview opportunities. After all, Staley is a minority Rooney Rule candidate on offense in a league that has only one minority offensive coordinator (Eric Bieniemy with the Chiefs who, will not call plays). What will work against Staley is the lack of coordinator experience. He probably needs to be a coordinator to be a head coach at this point even with the assistant head coach title. He’s met all the other criteria for becoming head coach. If coming from the right “tree” is important, Staley has worked for Andy Reid, Chip Kelly and Doug Pederson, all highly regarded head coaches. Staley has paid his dues and worked his way up as he started his career in 2010, first as a training camp intern who became an entry-level offensive and special teams quality control coach, then later running backs coach. He’s done the work and paid his dues. But for all he has done for the Eagles organization, he’s been unable to convince them that he’s ready to take the next step and become an offensive coordinator. Staley will likely have to convince another organization that he is ready to take the next step forward and become an offensive coordinator and/or head coach.